Based on a July 2017 & August 2018 survey of Safestyle customers our survey found that when customers compared quotes with the other leading competitors Safestyle prices were cheaper by up to 30%. Based on a July 2017 survey of Safestyle customers we found that our prices were up to a massive 30% cheaper than our leading competitors. Customers who decided to choose Safestyle to install their new windows, doors or conservatory upgrade saved up to 30% more when compared to the prices they were quoted from other leading companies. 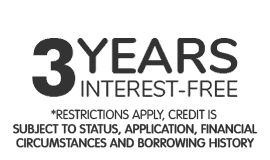 At Safestyle you can pay for your new home improvement over 3 years with absolutely no added interest or charges to pay. Spread the cost into 36 monthly repayments and pay the exact same amount that you would if you paid up front. All we ask is for a minimum cash deposit of 33% and a minimum order value of £3000. HPAS Ltd t/a Safestyle UK is authorised and regulated by the Financial Conduct Authority as a credit broker and deal with a panel of lenders. 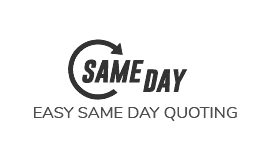 Getting a quote from Safestyle is quick and easy with our same day quoting service. Simply request a quote before 5pm and our representative will make every effort to provide an accurate price the very same day. We aim to make the whole process as stress free for you as possible, let us know your preferred appointment time and we will work around you. Customer satisfaction is our number one priority but don't just take our word for it, recent figures show that based on over 7,200 reviews a huge 90% of customers would recommend us. 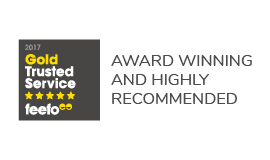 This year we are also proud to have won a Feefo Gold Service award, an independent seal of excellence that recognises businesses for delivering exceptional experiences, rated by real customers. At Safestyle we pride ourselves on being an affordable national installer. Our lowest price and price match guarantee mean that you will always get the lowest possible price by choosing us rather than one of our competitors. We're so confident that we can offer efficient products and exceptional value that we promise to beat any like for like genuine quote. If you do happen to get a lower priced like for like quote elsewhere we guarantee to match it. 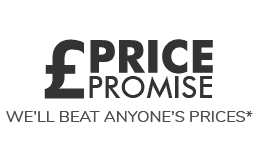 We even promise to match sale prices too so there is never any doubt that you're getting the very best deal with Safestyle. Looking to get your quote? **Colour options may vary. We will beat any genuine like‐for‐like quotation. Customer savings based on a survey of Safestyle customers July 2017 Please ask for details. Product exclusions apply to offers, multiple offers may not be used in conjunction with any other. Interest free finance subject to terms and conditions. Lowest Price Promise also subject to terms and conditions.